I feel like a geek when I write about a product. Not because the subject matter is abstruse, but because I’d rather share my experiences with a person or place. However, without the right tool in the toolbox, my job would be a lot more difficult and sometimes even impossible. I like simple tools, but I also like reliability and efficiency. In my line of work, product details matter and product quality matters. I am always willing to spend the extra buck for better quality assurance and durability. Ever since Apple introduced the iPhone June of 2007 and the iPad in April of 2010, I have sought a portable way of charging my devices fast and on the go. Throughout my journey to find the best in power, I blasted through several brands such as PNY, Belkin and RavPower. Nothing lasted, nothing was up to the task of the travel abuse I tend to expose my equipment to. In 2016, in partnership with Wings of Kilimanjaro, I climbed Mount Kilimanjaro and attempted to paraglide off the top for charity. Along the way, I was fortunate enough to converse with incredible people from all over the world, including veteran mountaineers and paragliding pilots. 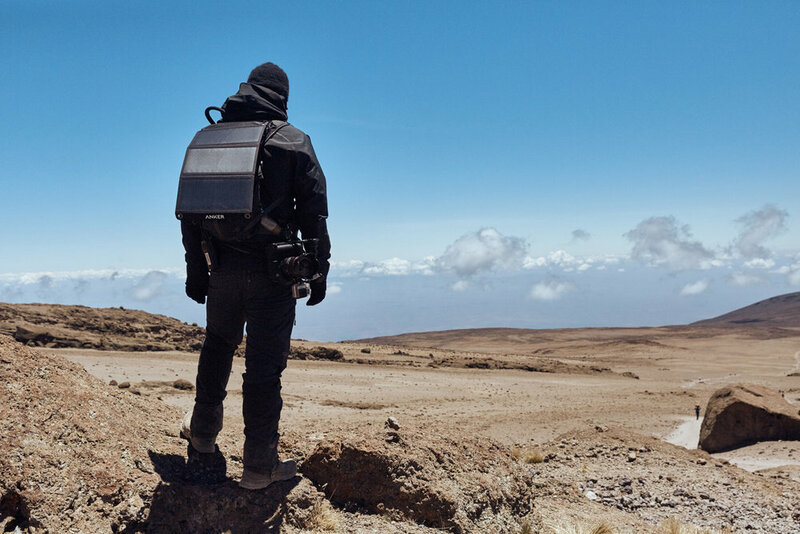 As we climbed to the “Roof Of Africa” I noticed a piece of equipment on the back of all of them: a solar panel. This panel acted as a portable and natural way to charge their small devices on the trail. The same brand was mentioned over and over: Anker. Once our successful adventure was complete, I returned to the United States with a mission. 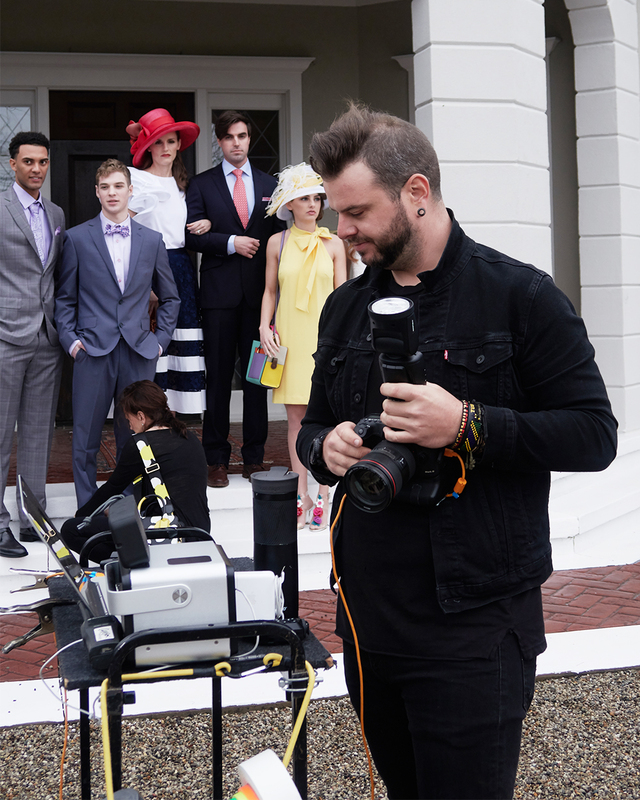 How could Anker benefit my personal and professional workflow? I had finally found a product that lasted. A product that felt on par with Apple or Goal Zero accessories for a quarter of the price. But, I started small. I started with an Anker PowerCore 20100, an external battery able to charge and iPhone up to 6 times featuring dual USB 3.0 ports for charging two devices at the same time. At the time, I truly didn’t know how much I would lean on this battery brick. Now, I have to rely on this mobile power to keep my iPhone above the redline every-single-day. 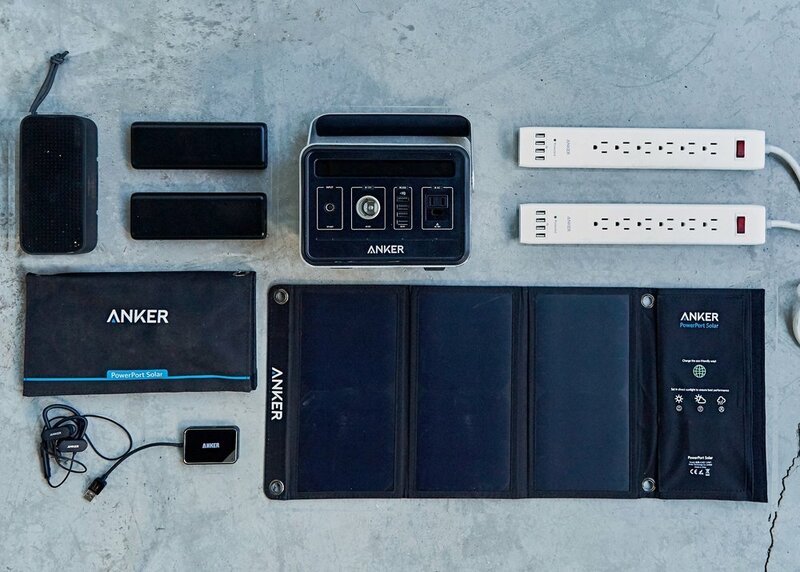 So much so, I have three of the Anker PowerCore batteries in my kit. Soon after, I purchased the weatherproof-waterproof Anker SoundCore Sport XL Outdoor Portable Bluetooth Speaker for on location music which is a vital element for set energy. 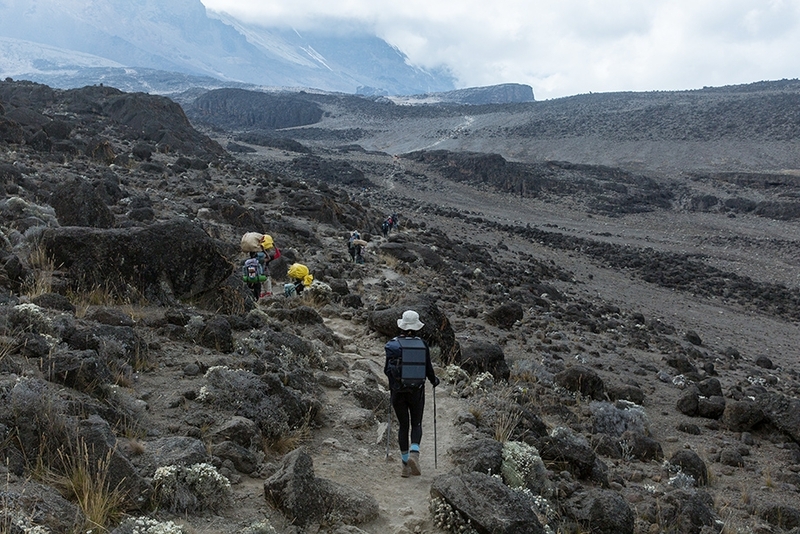 In 2018, in partnership with Chris Long and Waterboys, I climbed Mount Kilimanjaro again for charity and I was more prepared for the long journey to the top than the previous trek. Much of the equipment we brought was to provide a better system of dependability in hazardous conditions such as frozen temperatures and altitude. The Anker SoundBuds Curve Wireless Headphones provided a comfortable source of inspiration on the hard uphill switchbacks, the PowerPort Solar provided the option of charging on the go and the Anker PowerPort Power Strip provided enough ports we needed to charge every single battery and device at camp. Eventually, I dove deeper into the Anker pool and sought other mobile peripherals and charging technology I could use every day, such as the Anker 4-Port USB 3.0 Portable Card Reader, the Anker Ultra-Slim Wireless Charger or the Anker USB 3.0 9-Port Hub. 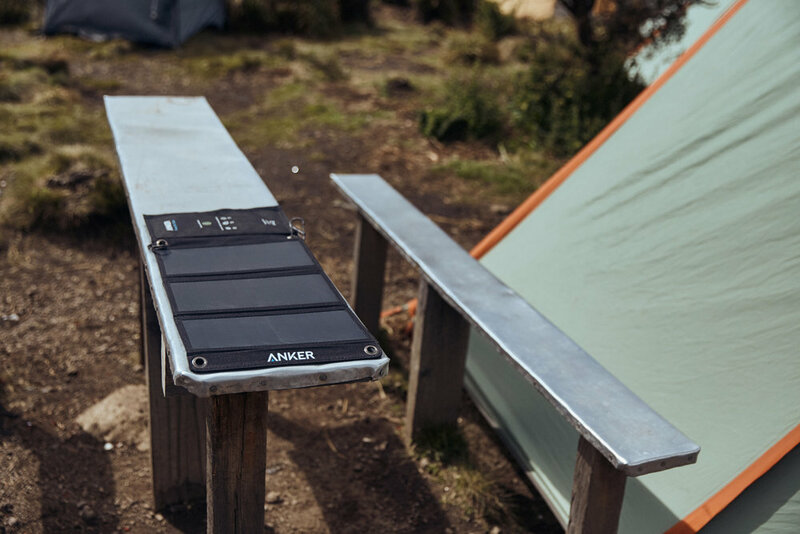 The Anker Powerhouse Generator provides on-location power for charging, and a 110V AC outlet for powering a light, laptop or even a mini-fridge. We implemented the generator into our on-location tethering workstation as source of power no matter the location, domestically. The Anker Air Vent Magnetic Car Mount is incredibly advantageous to my lifestyle on the go. A lifestyle which relies on the navigation on my iPhone to get around the city or get to a destination in a foreign country. After all the adventures through Tanzania, India, Bangladesh and Iraq the entire Anker line had proved its worth the weight in gold. Every product withstood the hard climate and the extreme circumstances. Hot, cold, snow, rain, mud and sand. I put it all the peripherals through the gauntlet and they all passed.